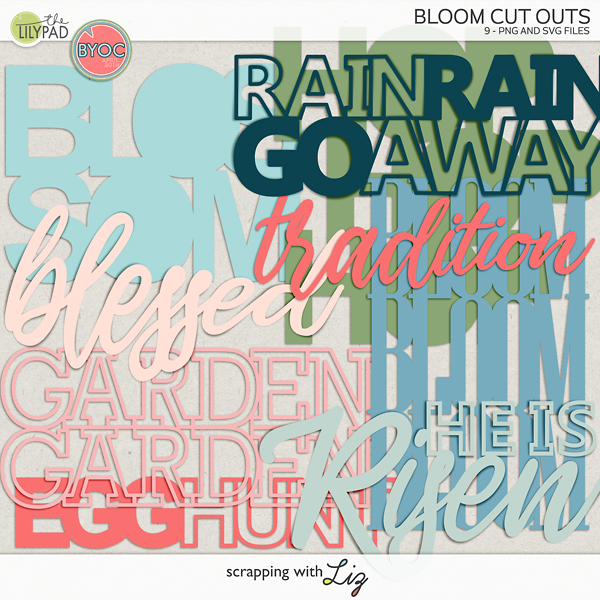 Scrapping with Liz: NEW Recipe Cards and Pages! 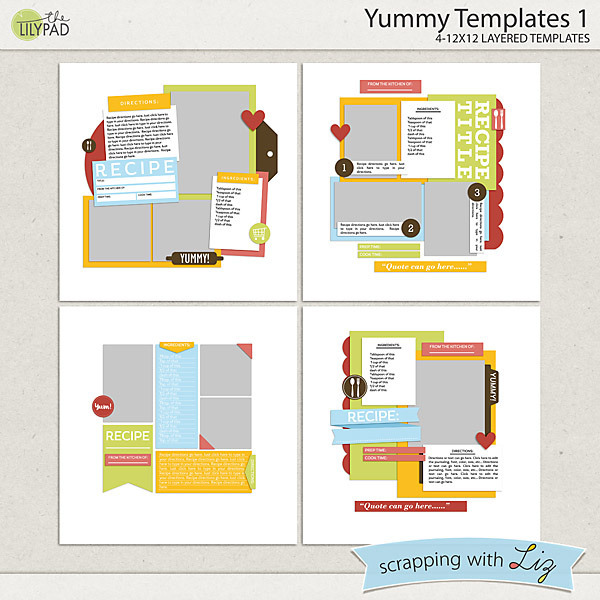 Last year I started a line of recipe card and recipe book page templates, and I'm still adding to this line! 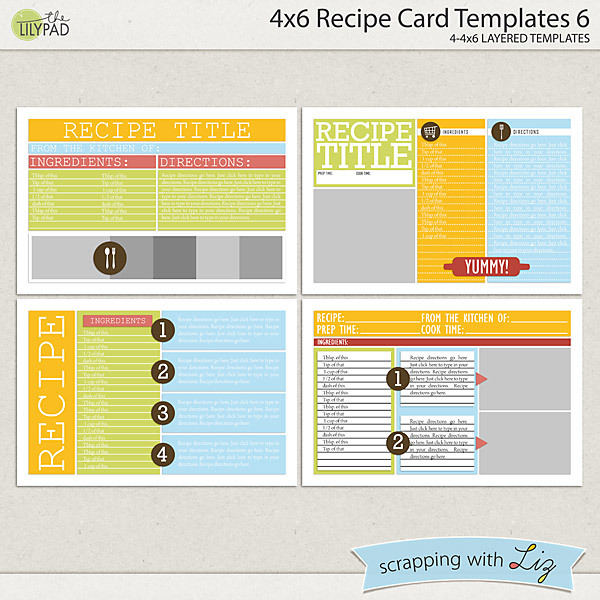 Today I have the 6th installments, which makes a total of 24 different templates for making 4x6 recipe cards or a 8.5x11 recipe book. 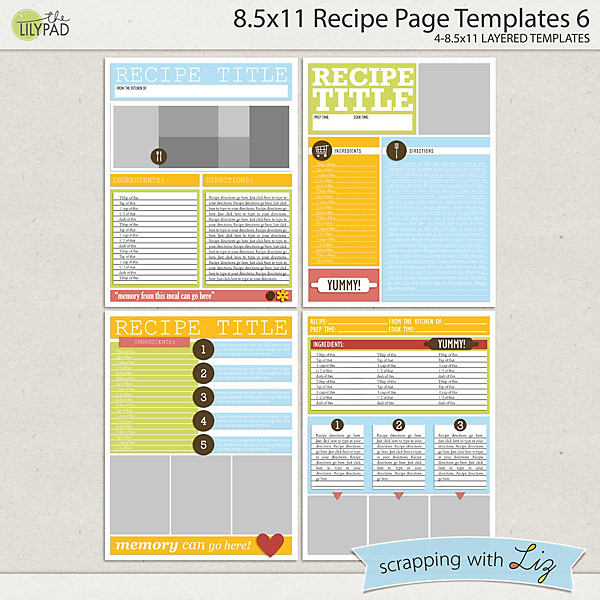 I also made a set of 12x12 recipe-inspired templates for memory scrapping. These new releases are 20% off through June 18, 2017. 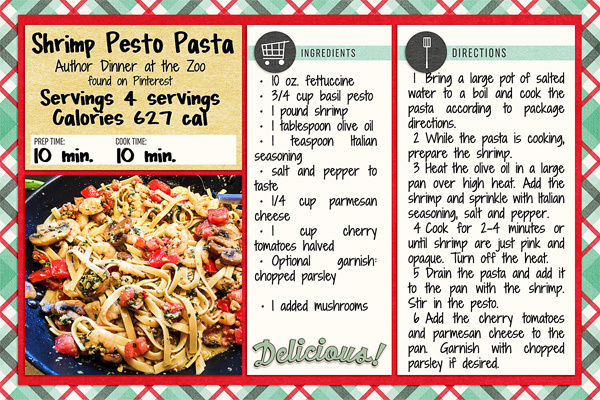 Donna has been working on a recipe card box project since last year! 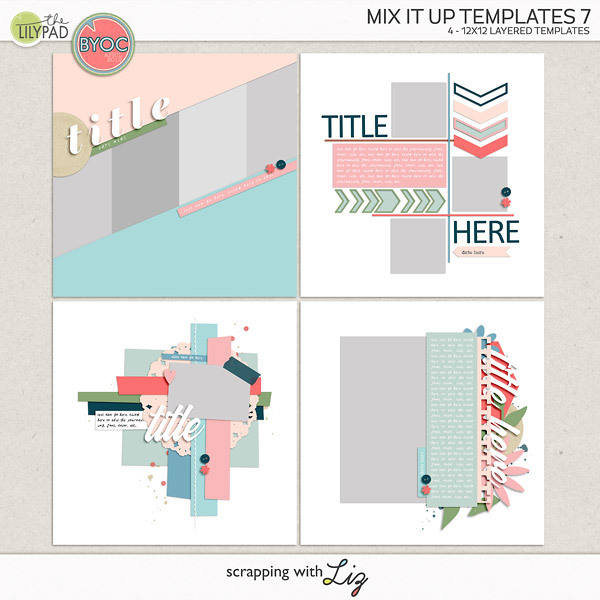 Stefanie used Yummy Templates to scrap pics from a yummy meal!